Whether you're a raging or closet "Hunger Games" fan (and these days, quite frankly, you're either one), you'll be thrilled to know that District 12 is up for sale. Yup that's right. You too, like Katniss Everdeen, can crouch by the Mellark family bakery (pictured above), or trudge home to the Everdeen family shack after a long day in the woods. But it'll cost you a cool $1.4 million. District 12, or the town formerly known as Henry River Mill Village near Hildebran, N.C., is owned by 83-year-old Wade Shepherd. Though it's now world-famous for being the hometown of the movie's three protagonists, Katniss, Peeta and Gale, to Shepherd (who has never read the books) it's just a parcel of land that's attracting an excessive amount of (apparently unwanted) publicity.  "I'm getting too many visitors," Shepherd told The Associated Press, of his decision to sell. "Day and night, they're driving through, taking pictures, getting out and walking. I'm just bombarded with people." This undated image provided by VisitNC.com shows the Knight Theater in Charlotte, N.C., part of the Blumenthal Performing Arts Center. It's where scenes from "The Hunger Games" were shot -- of interviews with teenage "tributes." The movie was filmed entirely in North Carolina, which is gearing up for tourism from fans. 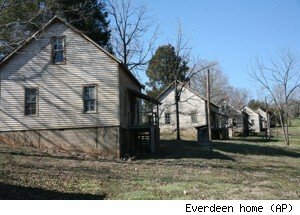 This undated image provided by VisitNC.com shows the abandoned Henry River Mill Village in Hildebran, N.C., where scenes from "The Hunger Games" were shot. The house on the left was outfitted as the Everdeens' home in the Seam, part of District 12 in fictional Panem. This undated image provided by VisitNC.com shows an old company store at the abandoned Henry River Mill Village in Hildebran, N.C., where scenes from "The Hunger Games" were shot. 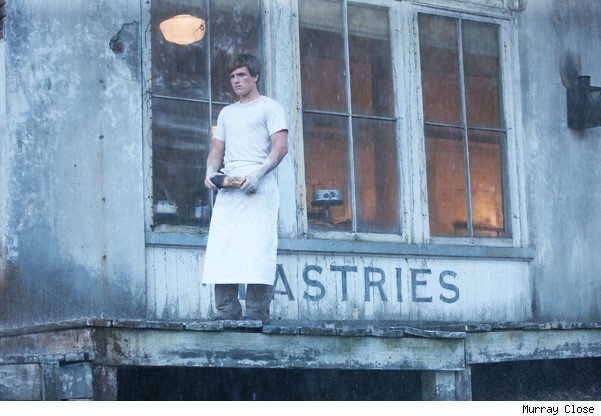 In the movie, the store became the Mellark family bakery in District 12. This undated image provided by VisitNC.com shows the bottom of Triple Falls at DuPont State Recreational Forest in North Carolina, which was used as a backdrop for arena scenes in "The Hunger Games." This undated image provided by VisitNC.com shows the warehouse space in Shelby, N.C., which was used for reaping scenes in "The Hunger Games" movie. Josh Hutcherson stars as Peeta Mellark. Jennifer Lawrence stars as Katniss Everdeen. Jennifer Lawrence on the set. Director Gary Ross on the set. Amandla Stenberg stars as Rue. Elizabeth Banks, left, as Effie Trinket and Jennifer Lawrence as Katniss Everdeen. Jennifer Lawrence as Katniss Everdeen. Jennifer Lawrence as Katniss Everdeen and Liam Hemsworth as Gale Hawthorne. Jennifer Lawrence as Katniss Everdeen and Josh Hutcherson as Peeta Mellark. Jennifer Lawrence, left, as Katniss Everdeen, Josh Hutcherson as Peeta Mellark and Lenny Kravitz as Cinna. Stanley Tucci as Caesar Flickerman and Jennifer Lawrence as Katniss Everdeen. Elizabeth Banks, left, as Effie Trinket, Woody Harrelson as Haymitch Abernathy and Jennifer Lawrence as Katniss Everdeen. Quiz: Do You Know Your House Styles? Donald Sutherland as President Snow. From left: Isabelle Fuhrman as Clove, Alexander Ludwig as Cato, Jack Quaid as Marvel and Leven Rambin as Glimmer. Woody Harrelson as Haymitch Abernathy and Jennifer Lawrence as Katniss Everdeen. Donald Sutherland, left, as President Snow and Wes Bentley as Seneca Crane. The situation has gotten so extreme that the local sheriff's department has been working with private security guards to keep the fans at bay, concerned about liability if someone gets hurt. The post-"Hunger Games" Henry River Mill Village is a far cry from the sleepy North Carolina town it used to be before Lionsgate Entertainment descended upon it in the summer of 2011. Surrounded by trees, the quiet mill town near the Appalachian Mountains, once the company town of the Henry River Manufacturing Co., was deserted for years. With the mill burning down in 1977, the 72-acre parcel of land only has 20 remaining buildings -- leaving it a ghost town. Which made it prime real estate for the dystopian fantasy series. The former company store was the perfect stand-in for the Mellark family bakery, while Henry River Mill's collection of abandoned, antiquarian homes were perfect for re-creating The Seam, with the house on the far left outfitted to be the famous Everdeen home (left). The movie's production brought in excess of $60 million into North Carolina's economy, the most of any motion picture made in the state. No doubt to capitalize on the phenomenon, North Carolina tourism site VisitNC.com has begun to offer a four-day "Hunger Games" itinerary, which includes a tour of Henry River Mill Village.